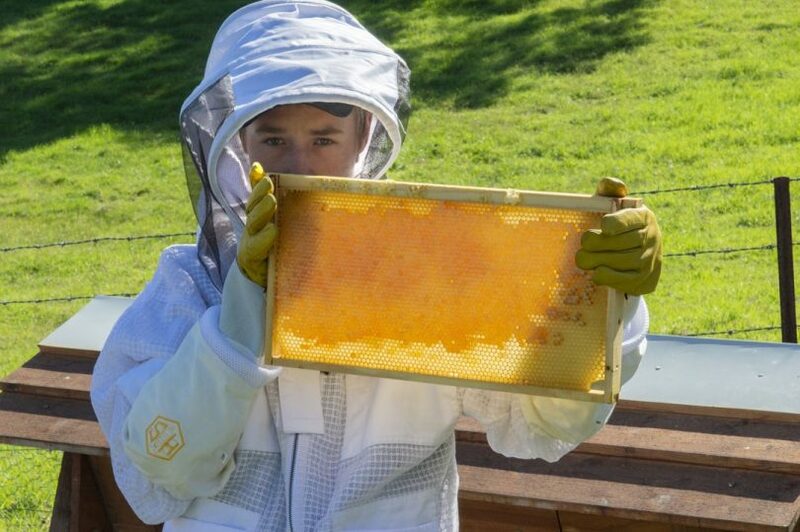 Bega High School students have established a working apiary at the school’s agricultural farm. Photo: Sunny Gill. The sweet art of beekeeping has been added to the day to day of reading, writing, and arithmetic of Bega High School. Over the past 2 years, students from the Special Education Unit have been learning the skills and science of beekeeping, including hive box construction, bee behaviour, working with bees and harvesting honey and wax. 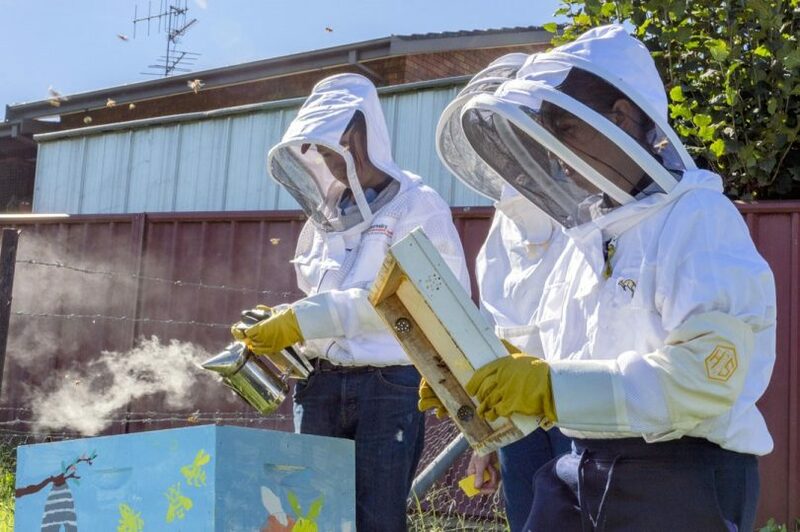 Assisted by volunteers from community organistations including Bega Rotary, Bega Woodies and Bega Valley Beekeepers, students have gone on to establish a working apiary at the school’s agricultural farm. Eight people take part each term, and as the program develops the opportunity to work with bees will be opened up to all students at the high school. “Our vision is to create a community supported apiary that provides experiences for young people that enhance self-confidence, gains respect and recognition from peers and family, and gives an appreciation of big-picture environmental issues,” says Project Manager Emma Cattermole. Funding for stage one of the project in 2017 was generously provided by Bega Rotary, with contributions made by the P & C association. Stage two, funded by ClubGrants in 2018 allowed the apiary to firmly established itself in school life, and the honeybees are thriving, but the long term aim is to make the project a self-sustaining enterprise. “Although our first honey harvest in February this year was modest, it raised sufficient funds to buy a few essential small items of equipment,” Emma says. Community organisations including Bega Rotary, Bega Woodies and Bega Valley Beekeepers has been partners in the program. Photo: Sunny Gill. “It offers our students an invaluable opportunity to extend their skills and experience, at the same time as responding to the world-wide threats to honey bees, and the consequential impact on world food production. “It is also great to have students, the P&C and community organisations collaborating on such an important environmental initiative”. Over the approaching winter, students will learn how to repair bee boxes in readiness for next season which starts with spring in September. They’ll also learn how to make beeswax wraps and candles using recycled fabric and wax cappings that are removed during the honey extraction process – all proceeds will go towards the future running of the apiary. I'm not all that keen on robbing bees.